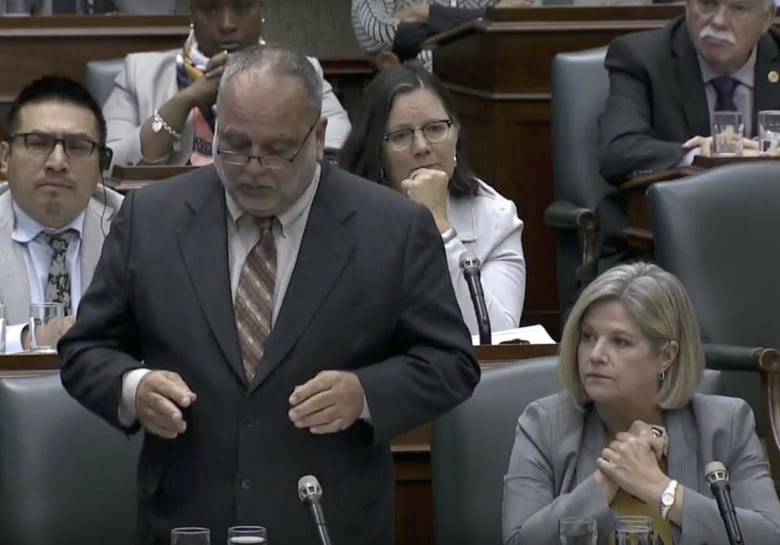 Horwath denies accosting the PC MPP for Flamborough-Glanbrook and claims it was Skelly who "went ballistic" when she tapped her on the shoulder. Donna Skelly is accusing Andrea Horwath of pushing her in the legislature and says the Ontario NDP leader should consider anger management classes. 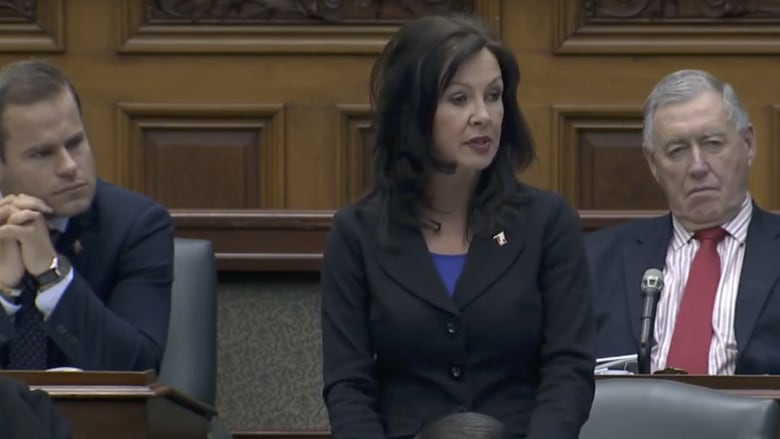 Skelly stood up during question period Wednesday and laid out her complaint before asking House Speaker Ted Arnott to determine whether Horwath breached privilege. Speaking with reporters afterward, the MPP said she was speaking with some colleagues when Horwath crossed the floor "yelling, screaming and pushed me." She added there is no photo or video evidence, but said plenty of people witnessed the incident and the clerk escorting the NDP leader back to her chair. Skelly said she was not physically harmed and is not intimidated by Horwath, but added she believes no one should feel threatened at work. "I think (Horwath) needs to probably consider some anger management. She's clearly an angry woman when you see her across the hall." Horwath laughed when reporters asked her about Skelly's accusation and said she was never escorted away by the clerk. "I am absolutely saying that this is not true, this is not what happened," said Horwath. "I simply tapped the woman on the shoulder." She refused to answer when reporters asked how hard she tapped her, instead describing the government's focus on the incident as "hyper-partisan nastiness" and a diversion. As for Skelly's advice of seeking anger management help, Horwath had a suggestion of her own. "I think she needs to look in the mirror." The​ NDP says the incident was sparked by PC MPPs who were intentionally blocking a legislature camera that was recording Horwath speaking. Energy Minister Greg Rickford said he witnessed Horwath storming over with a "red face" and that she made contact with Skelly's shoulder in a manner he would consider a push. He added politics can get heated, but members aren't supposed to touch each other. "Tempers flare, people make accusations … but there's got to be a bright line ... it's not acceptable to make a member feel physical intimidation is part of how we conduct ourselves." In response to Skelly, opposition house leader Gilles Bisson called the alleged attempts to block the camera "absolutely inappropriate, disrespectful and beneath the dignity of this house. "This point of order has no merits, so let's move on to the important issues that are facing Ontario families," he added.